Step by step, the FOTOCAT spreadsheet is growing. More cases and more data are added to the master catalog on a daily basis. At the time of writing, the database already collects 8,432 reports. The paper NORWAY IN UFO PHOTOGRAPHS: THE FIRST CATALOGUE, by Vicente-Juan Ballester Olmos and Ole Jonny Brænne, in a condensed version of 23 pages appears in the printed proceedings of the7th Biennial European SSE Meeting, a 270-page volume edited by Erling Strand which collects all other lectures delivered at the Society for the Scientific Exploration congress, held in Røros (Norway), August 17-19, 2007. The publication is priced 45 euros and it includes a CD with larger versions of papers. In particular, the above paper’ s full version is 132 pages long! CISU -the Italian Center for UFO Studies- is one of the most solid and well-managed UFO organizations in Europe. Headquartered in Turin, it was founded 1985 with the aim to investigate UFO phenomena. Last June, it hosted a national UFO congress in the touristic village of Saint Vincent (northern province of Aosta). 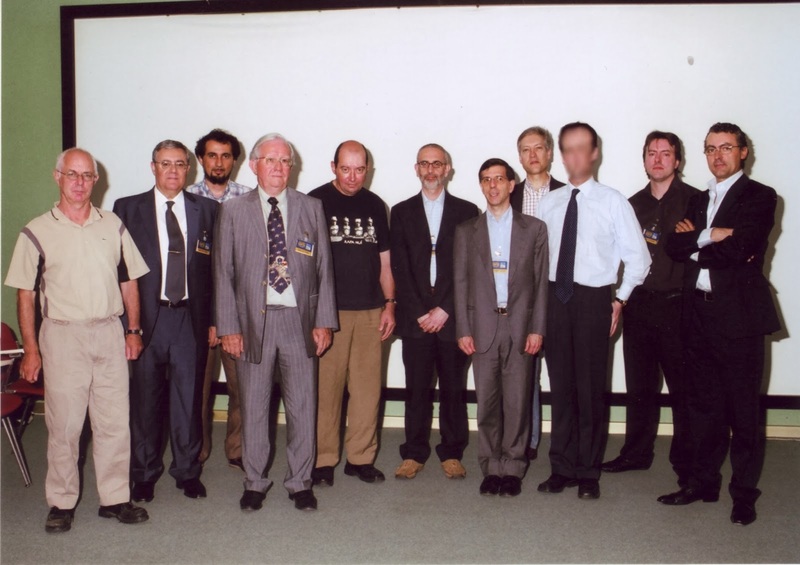 In addition to commemorate 60 years of ufology, it had the side-objective to promote renewed meetings amongst some members of the EuroUFO network (see entry for 2006/02/19). PHOTO 1. Group photograph: some members of the EuroUFO network with Jacques Patenet, director of CNES/GEIPAN. PHOTO 2. V.J. Ballester Olmos (left) and Martí Flò (Seville, 1996). I am happy to announce that a new, joint paper is under preparation. This will be FOTOCAT Report #5. Co-author is Martí Flò García and it plans to cover all UFO sightings in photography reported in the city of Barcelona, Spain, in the last decades. Mr. Flò was born in Barcelona and he is currently the president of Centro de Estudios Interplanetarios (CEI), the oldest UFO organization in Spain. We have agreed to do this report as a hommage to the 50 years since the foundation of CEI in 1958. Marcos González Velásquez (leader of the Canopus association) has volunteered to become the national coordinator for Chile. Project welcomes the role of regional ufologists to become the focus point to collect data for local sections of the catalog. 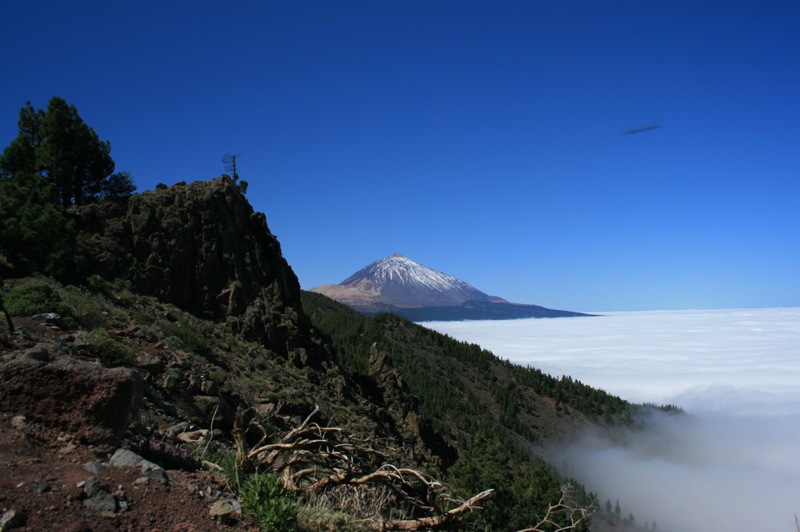 Recently I was checking a folder from the CEI photographic archives, when I found a spectacular photograph of a lenticular cloud that was long ago attained in the Canary Islands (Spanish territory in the Atlantic Ocean.) The pic was already familiar to me, yet I took the opportunity to make a good scan out of it for the project FOTOCAT files. PHOTO 3. Lenticular cloud photographed in the Canary Islands. CEI archives. The funny thing is that, besides this sheet, there was a clipping from a news published in page 9 of the the July 1999 issue of Enigmas, a newstand Spanish magazine devoted to paranormal subjects. There, the same photograph was printed, as submitted by a Fernando Rosillo, and an alambicated story was told about the circumstances it was obtained. This is the end of it, as far as the magazine news is concerned. One additional UFO report. But the simple truth is that this photograph had already been submitted in 1994 to CEI from their Canary correspondent Irmi Herman. The picture is really dated 1966 (33 years prior to the current dating) and it was taken in the town of La Matanza, in the Tenerife Island. Thanks to the painstaking and patient archive research being conducted, we have discovered that someone has attempted to fake the reality. I expect that those who send news ítems to the magazines check their sources, verify the facts, in short, do their homework. It is known that FOTOCAT, as an internacional catalog, ends by December 31, 2005. The only exception is Argentina, that ends one year later, December 31, 2006. For Spain, for obvious reasons, there is no limit for case entry. That is the reason we are considering the following picture that has been published by the newspaper La Opinión de Tenerife, in its edition of April 8, 2007. PHOTO 4. From the Ortuño’s lookout (Tenerife Island), March 31, 2007. © Javier Ramírez Delgado. 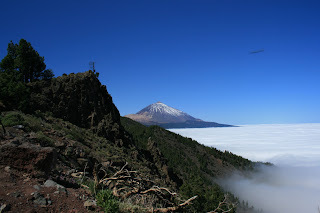 On March 31, 2007, Javier Ramírez Delgado and his family departed for an excursión to the Teide volcano. When they were located at the Ortuño’ s lookout, in the municipality of La Victoria de Acentejo (Tenerife Island), Javier made 15 photos from such vantage position. Later on, at home, when he was downloading the pictures into his portable computer, he found an strange image in one of the panoramic views. It was a picture snapped exactly at 12,32 hours. The weid image has not been visually observed when he took the photographs. I made a similar analysis for images of bees in in flight in page 2 of the forum link I provided above. The scientific analysis by Duarte not only confirms our suspicions, but it also shows how many reliable data and deductions can be extracted from digital cameras. In this case it has been just an insect. Perhaps some day the object under analysis has a higher strangeness level. PHOTO 5. March 10, 1979, Suonenjoki (Finland), still from one of the series of photos allegedly taken in several days by Jarmo Nykönen. One of the purposes of FOTOCAT Project is to stimulate fellow colleagues in other countries to compile all known local UFO photographs and share their findings with us. Recently we did this exercise with Finland, thanks to the active cooperation of Finish researcher and writer Björn Borg. It all began with my sending to him a spreadsheet when the few UFO reports from Finland I had in my files (just seven). Borg did a crucial, ample review of literature, books and magazines, UFO organization’s files, UFO websites, etc., and finally the number of entries grew to 35, an increase of 400%. Click here for the Finland FOTOCAT spreadsheet. FOTO 6. July 20, 1999, Savo (Finland), photographer not known. Image produced by the Moon. PHOTO 7. September 23, 2004, Kustavi (Finland), an anonymous hoaxed picture. In 26 instances a picture was taken and the remaining 9 were video recordings. Information has gaps and data is missing for times, photographer’s names, durations, etc. 60% of explained cases took place in the interval from 9 to 18 hours, which is quite dissimilar to other statistics. 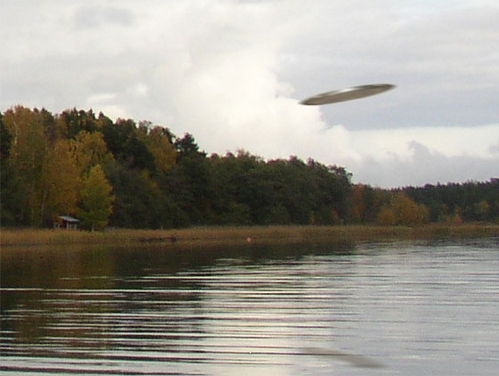 All typical prosaic explanations are present in the IFO set of cases but the incidence of hoaxes is extremelly high (43%), probably this anomaly is to be linked to the explosion of UFO photographs in Finland in the last few years, compared with a rather poor history of UFO sightings. 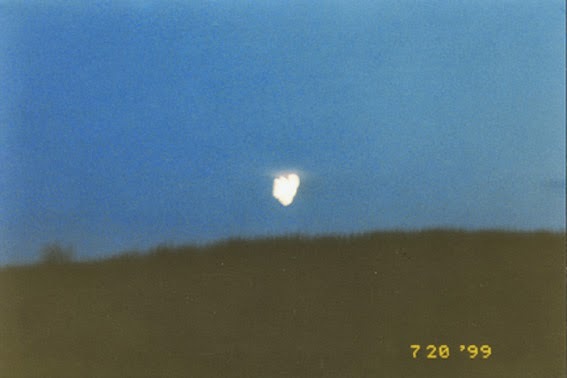 I think the sample we have gathered is very limited to make any sensible conclusion other than much work is still needed on the reports of the UFO category. The job of meteor detection in Spain by the Spanish Meteor Network (SPMN) is remarkable. Thanks to the kindness of professor Josep María Trigo, from the Institut d’Estudis Espacials de Catalunya (Catalonian Institut of Space Studies), we are including here -in a pdf version- one of the last papers released by their team. It is entitled Ongoing Meteor Work and it has been published in WGN, The Journal of the IMO, 35:1, 2007, pages 13-22. It contains, amongst other valuable documents, a list of all the bolides and meteors imaged by the nine automated stations the SPMN has built all over Spain. This information can assist us to screening false UFO sightings. 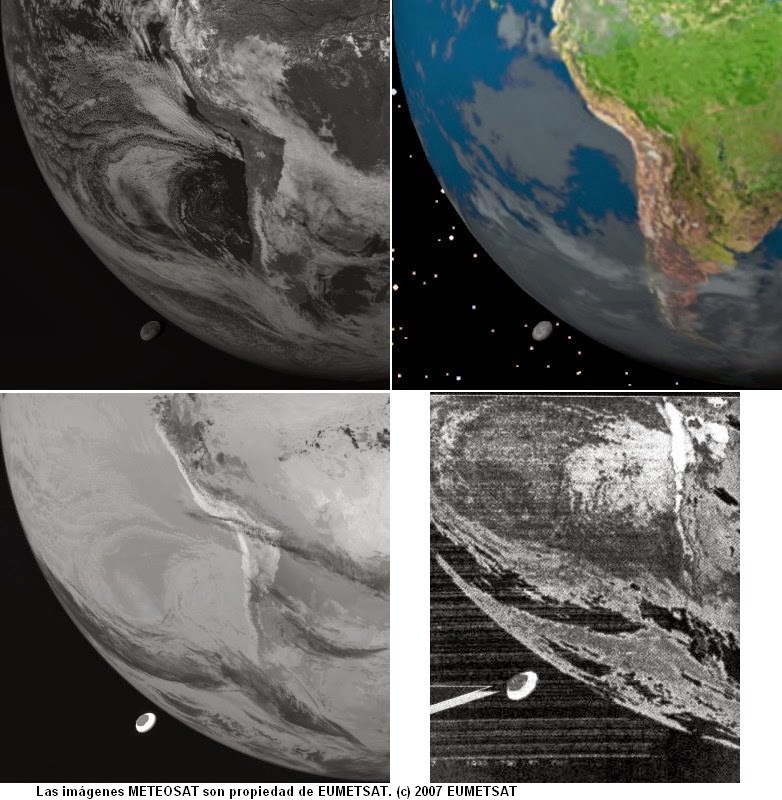 From 1992 to 1999, a couple of NOAA meteorological satellites, GEOS-8 and METEOSAT-3 brought back to the Earth infrared images of giant, lens-shaped objects pictured near the planet’s sphere in space. As usual, there was some debate in internet forums, and the UFO interpretation was soon called. From the rational band, these anomalous images were solved as distorted takes of the Moon. We all know that internet is killing the mainstream UFO journals. There is so much (mis)information on the www net on UFOs that many people wishing to receive good-quality information just drink on this polluted source and do not realize about the right organizations and the right journals. Recently, we knew that the outstanding European association (based in Belgium) SOBEPS, publisher of Inforespace, was forced to close the shop by economical difficulties. PHOTO 9. 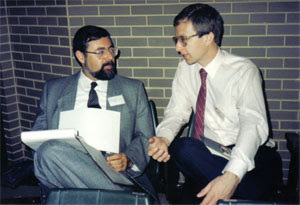 Dr. Mark Rodeghier (right), scientific director of CUFOS, meets Vicente-Juan Ballester Olmos, June 1987, at Washington, D.C.
Late news from Dr. Mark Rodeghier, scientific director of the J. Allen Hynek Center for UFO Studies (CUFOS), are very sad: they are having financial difficulties as well, and not only the publication sequence of both the quarterly International UFO Reporter (Jerome Clark, editor) and the yearly Journal of UFO Studies (Dr. Stuart Appelle, editor) are endangered, but the actual surviving of the Center itself, with the potential jeopardy for the archives, which include the legacy of Dr. J. Allen Hynek, the NICAP files, and all the historical assets that CUFOS treasure. The survival of a handful of worldwide UFO organizations and journals is a must for serious, scientific-oriented ufology, if we do not want that our subject-matter is finally lost in a diffused ocean of stupidity and wild belief managed by the waves of internet. The aim to place the study of UFOs in front of established science is already a lost battle. But let us not lose also the opportunity to treat the subject with dignity, and this is what CUFOS and their publications do on a regular basis. This is a call, this is a plea, addressed to all serious-minded UFO researchers in the world. Please sustain the Center for UFO Studies with your subscriptions, donations and publicity in your web sites and personal blogs. CUFOS web site is http://www.cufos.org. CUFOS postal address is 2457 West Peterson Avenue, Chicago, Illinois 60659, USA. CUFOS email address is Infocenter@cufos.org. Thanks. WHEN SAUCERS CAME TO EARTH, by Maurizio Verga, UPIAR (Torino), 2007. It is a large A4-size, 260-page, richly-illustrated book covering all the Italian UFO landings reported between 1912 and 1954. The book features more than 100 fascinating flying saucer cases extensively commented, including newsclippings, sketches, maps, magazine covers (nearly 200 illustrations), a comprehensive source listing, etc. It is the very first book about Italian close encounters ever published in English language. It is the ultimate source for any serious UFO student willing to know in-depth and precise documentation on early Italian UFO cases. The book’s foreword is by Vicente-Juan Ballester Olmos. SCIENCE-FICTION ET SOUCOUPES VOLANTES, UNE RÉALITÉ MYTHICO-PHYSIQUE (Science Fiction and Flying Saucers : A Mythical-Physical Reality), by Bertrand Méheust, Terre De Brume publishers (Paris), 2007. This is an enlarged edition of the original book released 1978 by Mercure, with an updated assessment of the author’s reflections which started over 35 years ago. Dr. Méheust holds a Ph.D. in Sociology and he has devoted himself to the history of parapsychology and to the epistemological review of the taboos of knowledge. The book is foreworded by Aimé Michel. We will supply you with state, regional, provincial or national catalogs for your knowledge, checking and enlarging. Paso a paso, la hoja de cálculo que alberga FOTOCAT va creciendo. Más casos y nuevos datos se van añadiendo al catálogo maestro cada día. A día de hoy, el número de informes del catálogo asciende ya a 8.432 unidades. La monografía titulada NORWAY IN UFO PHOTOGRAPHS: THE FIRST CATALOGUE (Noruega en fotografías OVNI: El primer catálogo), de Vicente-Juan Ballester Olmos y Ole Jonny Brænne, en una versión resumida de 23 páginas, se incluye en las actas impresas de la 7ª conferencia bianual europea de la SSE, un volumen de 270 páginas que ha sido publicado por Erling Strand. Este libro reúne todas las conferencias dictadas en este congreso de la Sociedad para la Exploración Científica (SSE), celebrado en la ciudad noruega de Røros del 17 al 19 del pasado mes de agosto. Su precio es de 45 euros e incluye un CD con las versiones extendidas de los trabajos presentados. ¡En concreto, la monografía completa a la que nos referimos tiene nada menos que 132 páginas! CISU –el Centro italiano para estudios OVNI- es una de las organizaciones ufológicas europeas más sólidas y mejor dirigidas. Con sede en Turín, se fundó en 1985 con la finalidad de investigar el fenómeno ovni. El pasado mes de junio fue anfitrión de un congreso ovni en la turística villa de Saint Vincent, en la provincia de Aosta, en el norte del país. Además de conmemorar los 60 años del nacimiento de la ufología, se trataba de promover el renovado encuentro de varios miembros de la red europea EuroUFO (ver la edición correspondiente al 19 de febrero de 2006 de nuestro blog). FOTO 1. Foto “de familia”: algunos miembros de EuroUFO posan con Jacques Patenet, del CNES/GEIPAN. FOTO 2. V.J. Ballester Olmos (izquierda) y Martí Flò (Sevilla, 1996). Estamos preparando un nuevo trabajo conjunto. El coautor es Martí Flò García y se centra en los avistamientos fotográficos ovni que en el curso de estas últimas décadas han ocurrido en la ciudad de Barcelona. Barcelonés de nacimiento, Flò es el actual presidente del Centro de Estudios Interplanetarios (CEI), la entidad ufológica decana en nuestro país, y los autores hemos convenido realizarlo como homenaje a los 50 años de fundación del CEI (Ciudad Condal, 1958). Marcos González Velásquez (director de la asociación Canopus) ha ofrecido sus servicios como coordinador nacional para Chile. Este proyecto invita a ufólogos que deseen participar en el mismo, cuyo papel es el de centralizar y organizar la información para secciones locales del catálogo (naciones o regiones). 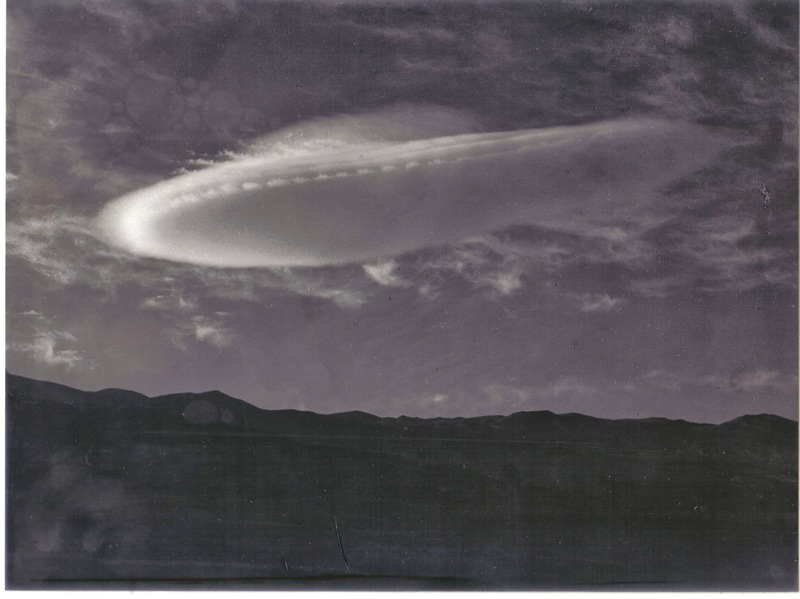 Recientemente estaba revisando los archivos fotográficos del CEI de Barcelona, cuando hallé la espectacular fotografía de una nube lenticular conseguida en las islas Canarias. La foto me era conocida, pero aproveché para escanearla para los archivos del proyecto FOTOCAT. FOTO 3. Nube lenticular fotografiada en las islas Canarias. Archivos CEI. Lo curioso es que junto a la hoja correspondiente, encontré en el archivo un recorte con la noticia publicada en la página 9 del número 7 de la revista Enigmas, correspondiente a julio de 1999. Allí aparecía dicha fotografía, enviada por un tal Fernando Rosillo, que narraba una “rocambolesca” historia sobre las circunstancias en que fue tomada. Y ahí quedó todo. Un caso ovni más. Pero hete aquí que dicha fotografía fue remitida en el año 1994 al CEI por su corresponsal en las Canarias Irmi Herman. La foto está fechada nada menos que en 1966 (33 años antes que la actual datación) y fue sacada en el municipio de La Matanza, en Tenerife. Gracias a la paciente labor de investigación de archivos hemos descubierto que alguien ha pretendido dar gato por liebre. Espero que los que remiten historias de ovnis a las revistas comprueben sus fuentes, verifiquen los hechos, en suma, simplemente hagan su trabajo. Es sabido que FOTOCAT, como catálogo internacional, finaliza el 31 de diciembre de 2005. La única excepción es Argentina, que termina el 31 de diciembre de 2006. Para España, por razones obvias, no hay fecha límite. Por eso hemos acogido esta fotografía que se ha publicado en La Opinión de Tenerife, en su ejemplar del 8 de abril pasado. El 31 de marzo de 2007, Javier Ramírez Delgado había salido con su familia de excursión al Teide. Estaban situados en el mirador de Ortuño, municipio de La Victoria de Acentejo, en la isla de Tenerife, haciendo fotografías del volcán. 15 fueron las fotos que se hicieron desde tan ventajosa posición. Al descargar más tarde las fotos en el portátil se advirtió en una de ellas, la sacada exactamente a las 12,32 horas, un objeto extraño en la panorámica, imagen de la que no se percató el fotógrafo al tomar la instantánea. Hice un análisis similar de imágenes de abejas en vuelo en la segunda página del foro que cité anteriormente. 4 pix*22,2 mm/1.936 pix = 0,05 mm. (El círculo de confusión es la imagen desenfocada de una fuente puntual de luz). El tamaño y velocidad obtenidos también son típicos de los insectos. (Anoté varios resultados muy redondeados porque los cálculos no son muy exactos, creo que el principal error puede estar en el círculo de confusión). El análisis científico de Duarte no sólo confirma nuestras sospechas sobre el origen del cuerpo plantado en la imagen, sino que demuestra la cantidad de datos y deducciones que se pueden extraer de las fotografías digitales. En este caso ha sido un insecto, quien sabe si algún día el objeto analizado tiene mayor nivel de extrañeza. FOTO 5. 10 de marzo de 1979, Suonenjoki (Finlandia), instantánea de una de las varias series de fotos supuestamente tomadas en días diferentes por Jarmo Nykönen. FOTO 6. 20 de julio de 1999, Savo (Finlandia), de un fotógrafo desconocido. Se trata de la imagen producida por la Luna. Contamos con 3 casos en los cincuenta, ninguno en los sesenta, 9 en los setenta, 2 en los ochenta ¡y 18 entre los años 2000 y 2005! Una distribución anual muy peculiar, como mínimo. El nivel de investigación de avistamientos es muy mejorable, a pesar de ello, 23 de los informes ha sido resuelto y otros 12 permanecen no identificados. De éstos últimos, hay cuatro casos ovni en la década de los 70 (todos del mismo equipo de fotógrafos, tres con película infrarroja y uno invisible a los testigos); uno en la década de los 80; un caso de video con escasa fiabilidad en los 90; y seis en el siglo 21 (tres invisibles al ojo humano, dos de ellos videos de visión nocturna hechos por un militar anónimo a bordo de un barco Guardacostas). FOTO 7. 23 de septiembre de 2004, Kustavi (Finlandia), fraude fotográfico de autor anónimo. Foto se hizo en 26 de los casos y los restantes 9 fueron video-grabaciones. La información tiene huecos y faltan datos sobre horas, nombre de observadores, duración de los sucesos, etc. El 60% de los casos resueltos tuvo lugar en el intervalo entre las 9 y las 18 horas, lo que es bastante inusual. Todas las típicas explicaciones prosaicas están presentes en el conjunto de casos explicados, pero la incidencia de fraudes es extremadamente alta (43%), probablemente esta anomalía tenga que ver con la explosión de las fotos ovni en Finlandia en los últimos años, comparada con su pobre historia de casuística. En cualquier caso, la muestra reunida es muy limitada para llegar a alguna conclusión seria que no sea la constatación de la necesidad de mucho trabajo pendiente sobre los casos de la categoría ovni. El trabajo de detección de meteoros en España por la red española de meteoros (SPMN) es notable. Gracias a la amabilidad del profesor Josep María Trigo, del Institut d’Estudis Espacials de Catalunya (Instituto de Estudios Espaciales de Cataluña), facilitamos seguidamente en pdf uno de los últimos ensayos de su equipo. Titulado Ongoing Meteor Work (“Trabajo en curso sobre meteoros”), ha sido publicado en el WGN, The Journal of the IMO, 35:1, 2007, páginas 13-22, y contiene entre otros interesantes documentos una lista de todos los bólidos y meteoros fotografiados en España por las nueve estaciones de registro automáticas que el SPMN tiene instaladas a lo largo del país. Esta información puede ser muy útil y ayudarnos a discriminar falsos avistamientos ovni. De 1992 a 1999, un par de satélites meteorológicos del NOAA (Administración nacional de los océanos y la atmósfera, del Departamento de Comercio de los Estados Unidos), los denominados GEOS-8 y METEOSAT-3, devolvieron a la tierra imágenes de infrarrojo que mostraban gigantescos objetos en forma de lente que parecían hallarse cerca de la esfera de nuestro planeta en el espacio. Como era de esperar, hubo un acalorado debate en los foros de internet y la interpretación ovni no tardó en aparecer. Desde el lado más racional, esas imágenes anómalas se resolvieron como tomas distorsionadas de la Luna. Todos sabemos como internet asesina a las revistas especializadas en el tema ovnis. Hay tanta información (falsificada) en la red que mucha gente deseosa de recibir información de calidad, bebe de tan polucionada fuente y no alcanzan a conocer las organizaciones y revistas adecuadas. Recientemente hemos conocido que la gran asociación belga SOBEPS, editora de Inforespace, se ha visto obligada a cerrar, por condicionamientos económicos. FOTO 9. 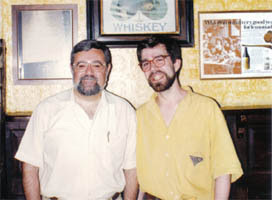 El Dr. Mark Rodeghier, director científico del CUFOS (a la derecha de la foto), reunido con Vicente-Juan Ballester Olmos, junio de 1987, en Washington, D.C.
También son tristes las noticias de última hora procedentes del Dr. Mark Rodeghier, director científico del J. Allen Hynek Center for UFO Studies (CUFOS): están atravesando una difícil situación financiera, que no solo pone en peligro la sostenibilidad de sus publicaciones periódicas, el International UFO Reporter (Jerome Clark, director) y el Journal of UFO Studies (Dr. Stuart Appelle, director), sino la misma supervivencia del Centro, con el problema que supone para la custodia de sus archivos, que incluyen el legado histórico del Dr. J. Allen Hynek, los archivos del desaparecido NICAP y todos los activos documentales que atesora el CUFOS. La supervivencia de un puñado de organizaciones y revistas en el mundo es una necesidad perentoria para la ufología seria y con orientación científica, si no queremos que este tema se ahogue en un difuso océano de estupidez y de creencias irracionales, a merced de las olas de Internet. El objetivo de plantear el estudio de los ovnis ante los ojos de la academia es ya una batalla perdida. Pero, al menos, no perdamos también la oportunidad de tratar este tema con dignidad, y esto es lo que CUFOS y sus publicaciones hacen con regularidad. Más que un llamamiento, ésta es una súplica dirigida a todos los investigadores del mundo, con un enfoque racional de la ufología. Por favor, apoya al Center for UFO Studies a través de suscripciones y donaciones, así como a través de toda la publicidad que puedas hacer en páginas web o blogs. El sitio del CUFOS es http://www.cufos.org y su dirección postal es 2457 West Peterson Avenue, Chicago, Illinois 60659, Estados Unidos. La dirección de correo electrónico del CUFOS es: Infocenter@cufos.org. Gracias. WHEN SAUCERS CAME TO EARTH (Cuando los platillos llegaron a la Tierra), por Maurizio Verga, UPIAR (Turín), 2007. Se trata de un libro de tamaño A4, 260 páginas y ricamente ilustrado, que cubre todos los casos de aterrizaje ovni informados en Italia de 1912 a 1954. La obra presenta más de 100 fascinantes narraciones de observaciones de platillos volantes, extensamente comentados y con un extraordinario apoyo documental y gráfico, con recortes de prensa, dibujos, mapas, portadas de revistas (cerca de 200 ilustraciones), un completo listado de referencias, etc. Es el primer libro dedicado a los encuentros cercanos en Italia escrito en lengua inglesa. Sin lugar a dudas, es la fuente definitiva para cualquier estudioso serio que desee conocer en profundidad la más precisa documentación sobre los primeros casos ovni ocurridos en Italia. El prólogo del libro está firmado por Vicente-Juan Ballester Olmos. SCIENCE-FICTION ET SOUCOUPES VOLANTES, UNE RÉALITÉ MYTHICO-PHYSIQUE (Ciencia-ficción y platillos volantes, una realidad mítico-física), por Bertrand Méheust, Terre De Brume editores (Paris), 2007. Es una re-edición, corregida y aumentada del libro original publicado en 1978 por Mercure, con un balance actualizado de las reflexiones del autor que se iniciaron hace más de 35 años. El Dr. Méheust está doctorado en sociología y se ha consagrado a la historia de la parapsicología y a la reflexión epistemológica de los tabúes del conocimiento. El libro está prologado por Aimé Michel.